I should probably start by being honest about how I listen to music – I stream. A lot. The convenience, the portability and the huge amount of content is manna from heaven for a music geek like me. I listen while I’m walking, sitting on the train, typing at my desk, reading a book – you name it, I’m listening to something or other. But, my most favourite kind of listening happens at the weekend in my living room. That’s when I lift the lid of my record player, carefully place my LP of choice on the turntable and crank up the volume to an inspirational level, while I do the cleaning. 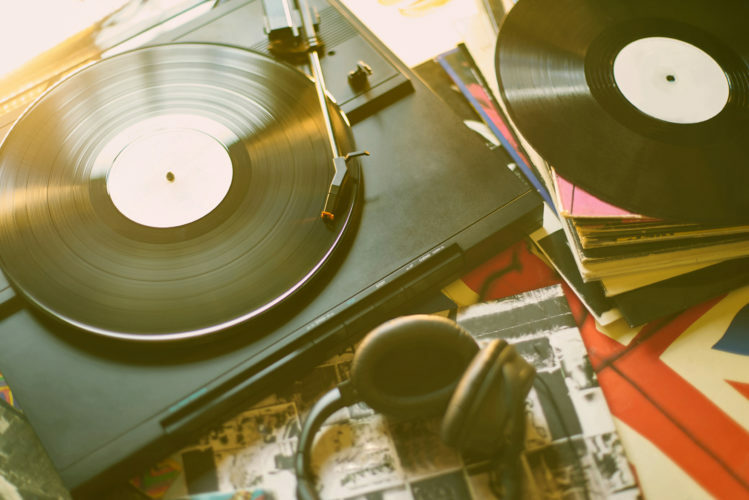 There is no denying it, music sounds better on vinyl – not just for the lovely authenticity of those pops and crackles but because what you hear on vinyl sounds to me sounds more organic and therefore a more of a faithful reproduction of what actually happened in the recording studio. 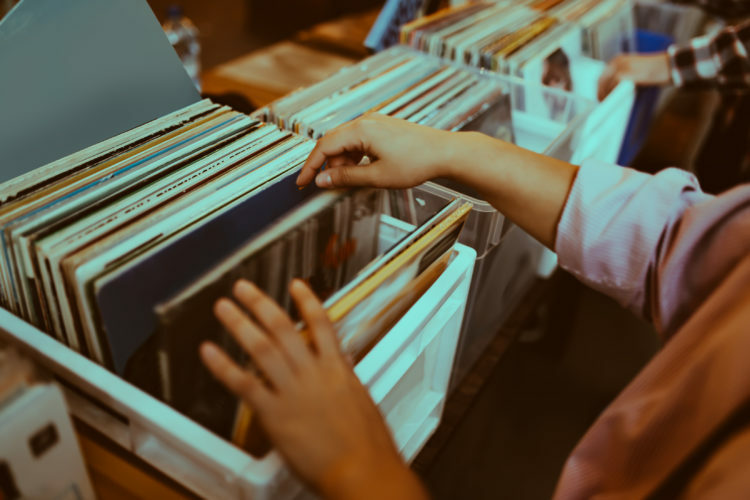 Saturday 13 April is Record Store Day, a brilliant annual event, celebrating the culture of independently owned record shops, bringing together fans, artists, and thousands of independent stores across the world. Streaming and downloading simply can’t compare to the experience of visiting a record shop. Whether your thing is browsing, chatting to other like-minded music fans or being constantly amazed at the encyclopedic knowledge of the owner. From Rough Trade and VoxBox, to Spillers and Townsend, these jewels of the high street are special places. Magnets for music lovers, dens of discovery and rooms of reminiscence. There is nothing to beat the swoop of excitement when flipping through the racks you come across that album that you didn’t know you were looking for until you saw it in front of you. So on Saturday, I’ll be heading down to my own local store, Cruisin Records on Welling High Street, hopefully to bag myself a copy of one of the records specifically pressed for Record Store Day and maybe an old classic like Stevie Wonder’s Songs in the Key of Life too. Why don’t you check if your own local shop is participating in Record Store Day and head down there – you never know, you might come across something really special. You can see a list of participating stores on the Record Store Day website and you can also join the conversation and tweet about your vinyl finds on social media using #RSD19.